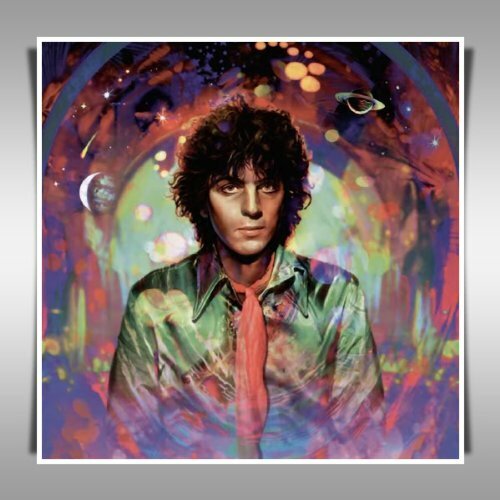 Did Pink Floyd Help or Hinder Syd Barrett's Solo Career? 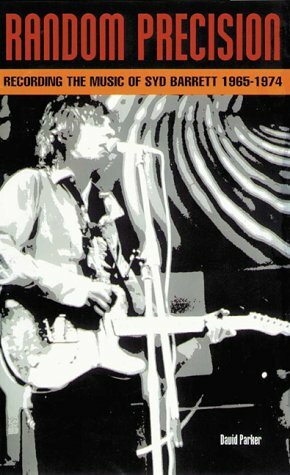 The Madcap Laughs was almost finished, when two of Syd's former band-members took over production. The direction instantly changed. First a disclaimer. 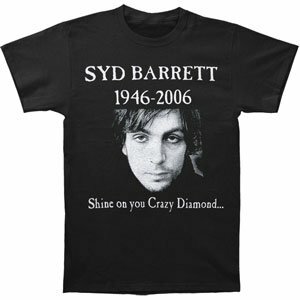 I'm a very big fan, and a Syd Barrett fan at that, as opposed to Pink Floyd per se. Not that I'm not partial to a bit of Floyd, but my first loyalties will always be with their founder member. I will always choose to be lost in the woods, rather than traveling to the Dark Side of the Moon. There are only two Syd Barrett solo albums (unless we're counting Opel, which I usually do). They are both classics, but then I could be biased. Let me tell you all about the first of them. Welcome to an enduring album entitled The Madcap Laughs. 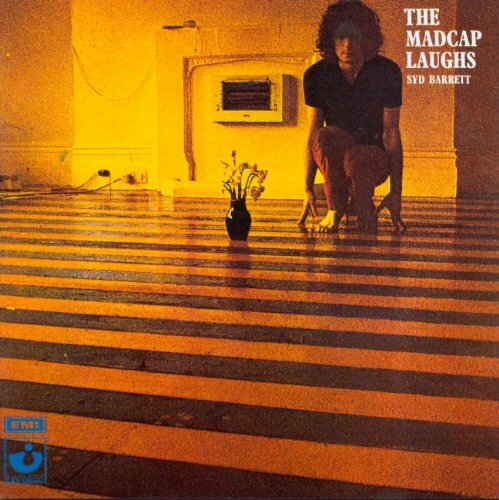 How Sane was Syd During The Madcap Laughs? Given the legends, anecdotes and history of Syd Barrett, it's a fair question to ask. And it frequently is the subject of much debate. 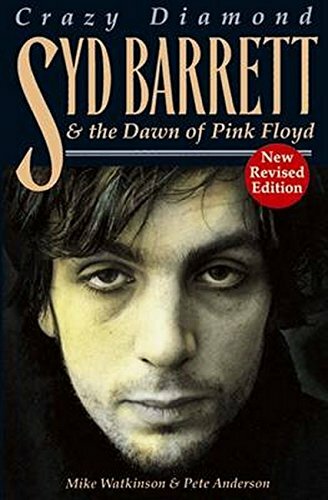 By 1969, Syd Barrett had already been side-lined out of Pink Floyd, because of his erratic and unpredictable behavior. It's not right to say that he quit nor that he was formally fired. The band simply stopped picking him up for gigs, until he got the hint. This was particularly awkward for keyboard player Rick Wright, who lived with Syd at the time. Rick had to tell their erstwhile frontman that he was just nipping out to buy some cigarettes. By now, the entire of London was buzzing with Syd stories. Many undoubtedly grew somewhat in the telling (and still do), but there was certainly substance behind them all. In fact lots of substances. Friends reported that he'd been tripping for three months solidly in the run-up to recording The Madcap Laughs. The worst of it is that he didn't know it. He was staying with friends who were lacing his morning coffee with LSD. Not that Syd was adverse to taking copious amounts of LSD and Mandrax left to his own devices. You could say that he was known for such excesses. But this isn't to say that he didn't have his head together for the studio sessions. Much has been made of The Madcap Laughs being, in the words of a NME report of the time, 'a portrait of a breakdown'. Syd had certainly been hospitalized over his mental state a few months previously, but we are scrambling for evidence that he was lost during the making of this album. On the contrary, producer Malcolm Jones reported that the sessions with him were largely uneventful. Syd was professional and half the album was completed very quickly. The problems only really started in earnest when Malcolm was asked to step aside to allow two members of Pink Floyd - David Gilmour and Roger Waters - to take over production. That could well have been deliberate on both sides. David Gilmour and Roger Waters behind the mixing desk; Rick Wright in the studio; Syd playing his solo songs. Early Pink Floyd reunited, but for what agenda? Two things should be stated before anything else is said. The first is that David and Roger were not foisted upon Syd. David, at least, was there at Syd's invitation. The second is that Pink Floyd's intervention may have been the reassurance that E.M.I. Records needed to allow recording to continue. 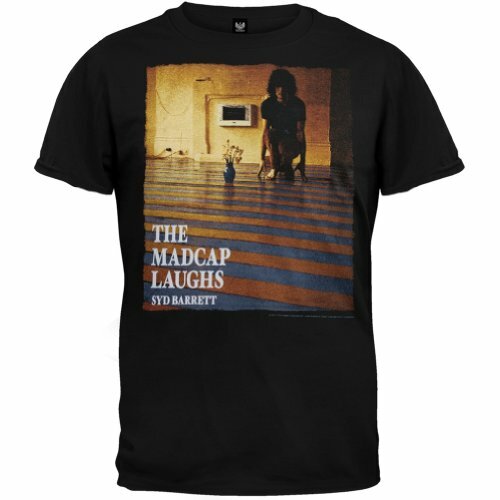 In short, without David and Roger, there could have been no The Madcap Laughs, let alone another album after that. There was also the situation at the time, as seen from the point of view of Pink Floyd. It had been a risk letting Syd slip out of their grasp. He was the good-looking, charismatic member; the one who stood center-stage and grabbed all of the headlines. In the mind of many people, Syd WAS Pink Floyd. He wrote the lyrics, composed the songs, gave the interviews, came up with the name and represented the epitome of cool London. In the mid-60s, the very thought that Pink Floyd could exist without their front man was ludicrous. That they had and moreover gone on to have amazing success took a lot of people by surprise. But there was also blame. The sense of 'poor, little Syd' being picked on by the big, bad Pink Floyd members was perhaps more rife then, than it is now. Pink Floyd had got away with it until now by pointing out how badly Syd had crashed and burned. If he couldn't perform his duties, then there was no way that he could have been carried by the band. This was a party line which was distinctly undermined by the advent of a solo album. If their former friend and creative force reappeared with all of his original genius intact, then the publicity could be catastrophic for Pink Floyd. On the other hand, he had been their friend and there was some guilt to match the blame. David Gilmour (Syd's replacement in the band) was his neighbor. He had already helped out with the loan of amplifiers. When he heard a particularly bad session from the raw studio tapes, David volunteered to produce the album. Syd agreed to let him; and Malcolm Jones was quietly asked to relinquish the project. At the time he was happy to do so. In retrospect, he wishes that he had fought to stay. Buy these biographies to delve in more detail into the circumstances surrounding the recording of this album. 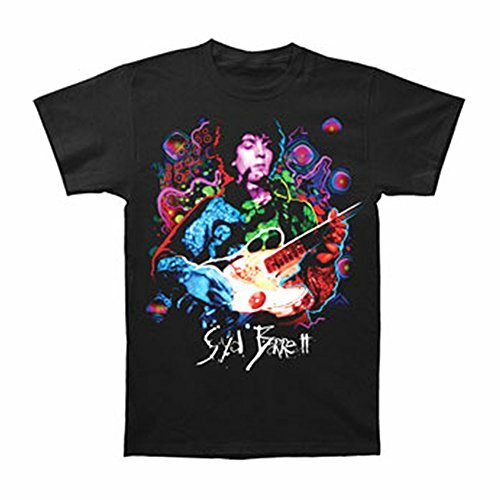 Did Pink Floyd Attempt to Nerf Syd's Solo Career? Understandably upset with the baggage left to them by Syd, it would seem that Pink Floyd members weren't entirely altruistic in their offers of help. "Perhaps we were trying to show what Syd was really like," David Gilmour confessed, years later, "but perhaps we were trying to punish him." (T Willis, Madcap, p112). Elsewhere, he was equally candid. "We wanted to inject some honesty into it to try and explain what was going on. We didn't want to appear cruel, but there is one bit I wish I hadn't done in retrospect." (M Watkinson & P Anderson, Crazy Diamond, p92). So what did they do that was so bad? It was in the mix and, perhaps, the handling of Syd himself. Malcolm and Syd had been aiming for a nicely polished album, beautifully produced and professional. Roger and David went for something that showed Syd to be occasionally lost and rambling. There were ample opportunities for this. It's a rare artist or band which is pitch perfect and brilliant in one take. What they left in were the false starts and wrong keys. Malcolm Jones, The Making of The Madcap Laughs. Once the album was released, there was also damage limitation on the part of Pink Floyd in the press. 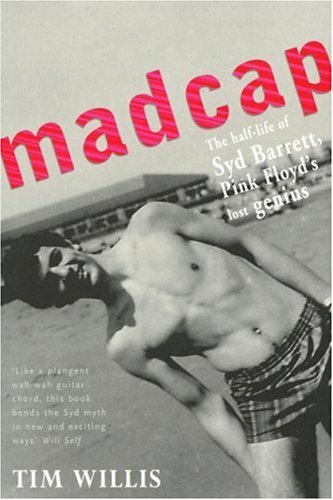 Roger Waters made an abortive attempt to claim that every song on The Madcap Laughs had been written years earlier, while Syd was still a productive member of his band. This was quickly refuted by people like The Soft Machine and Malcolm Jones, who had witnessed Syd writing some of them actually in the studio. The assertion was then quietly dropped. With the press heralding the album as a ghoulish insight into the tattered mind of Syd Barrett, sound-bites were carefully dropped into the melee in support of this. David Gilmour, at the time, described the recording sessions as 'nightmarish' and 'hell', implying that it was only the steady influence of himself and Roger which had allowed the public to have any album to buy. But it also emphasized again the notion of Syd being impulsive and reckless. Before any member of the public had heard a note, they were being conditioned to consider the artist as not quite right. Finally, in 1976, came the lie which many people, including Syd Barrett fans, believe to this day. I've already alluded to it in the previous section. That E.M.I. were ready to kick Syd out of their studio and only the intervention of Pink Floyd saved the album. This simply isn't true. Malcolm Jones was an E.M.I. executive, as the record company had bought his Harvest Records (onto which Pink Floyd themselves were ultimately to move). He has categorically stated that E.M.I. were happy for Syd to take his time. They just wanted the album. The only reason for the delays was that Pink Floyd were touring and recording their own music, thus Syd had to fit around their schedule. There was finally only a day and a half window in which Roger and David were free to help him. Even then they had to rush off to perform in a gig halfway through. They, more than anyone else, knew how flustered Syd became by being rushed. They put him in a pressurized environment, littered with reminders that he wasn't in Pink Floyd anymore, then recorded the result in what should have been out-takes. Those snippets then got released on the album. Finally, an 'oversight' saw the wonderful Opel get removed from the play-list. This could have been the single. Did Pink Floyd attempt to nerf Syd's solo career during The Madcap Laughs? Yes, of course they did, but it back-fired. By now no-one wanted to hear professional Syd. They wanted the sensationalism of his breakdown and drug abuse. In many ways, Madcap gave them exactly what they wished to hear; and it catapulted Syd from darling of the press to absolute rock legend. People always root for the underdog after all. Check out this seminal album to see what the result of Pink Floyd's production was on Syd's first solo album. The stories told about the making of The Madcap Laughs are nearly as legendary as the album itself. Here I go through it track by track. 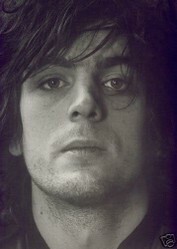 Syd Barrett was the founder of Pink Floyd. He famously lost his mind then retreated to his home city of Cambridge. I found some of his haunts. My group, the Laughing Madcap, had a marathon discussion about this very topic last spring. As a result, I created an alternative Madcap Laughs on Spotify that removes the hurried Gilmour-Waters tracks and replaces them with Jenner-Jones tracks already finished and waiting to be added to the mix. The first 13 tracks are the LP proper and the next 3 are "extra" tracks anticipating the CD reissue. Certainly eye-opening, isn't it? I've had suspicions of Waters' trying to shipwreck Syd before with his claims of "schizophrenia". I have come to the same conclusion as the article from piecing together interviews and information I got from various sources. We will likely never know the truth, i.e., Roger and David's true intentions. At that time, The Floyd were reasonably still successful in England and parts of Europe (a number one UK LP in Atom Heart Mother was just around the bend) but had Syd released a monster LP he could have surpassed the band's success leaving them completely marginalised. I'm sure they were thinking of this...especially the highly competitive and ambitious Waters. Remember, it was Syd who wrote their previous hits...even if his last few attempts weren't successful. There were also those rumours of Syd shouting from the windows of 6 St. Margaret's Square about killing Roger Waters... More than a few...leading me to believe that there's something to this...something to his anger toward only Waters. By the way, EMI didn't buy Harvest Records from Jones...they started the label for him to run. Yes, me too. And I'm now wondering if it was Malcolm Jones who tipped Syd off about Shine on You Crazy Diamond, so he could show up at the studio and freak them out. I'm still working on this story and I'm sure now that David Gilmour genuinely did regret all of this. Roger apparently never did. Did you know that when Roger appeared backstage at an R.E.M. gig, Michael Stipe was rude to him? Then Michael went on stage and did 'Dark Globe'. Roger was apparently amused. Strange reaction given what the song was about. I have a feeling the bands continued tributes to Syd were about earning vicarious 'cool points' with the hip, authentic kids.